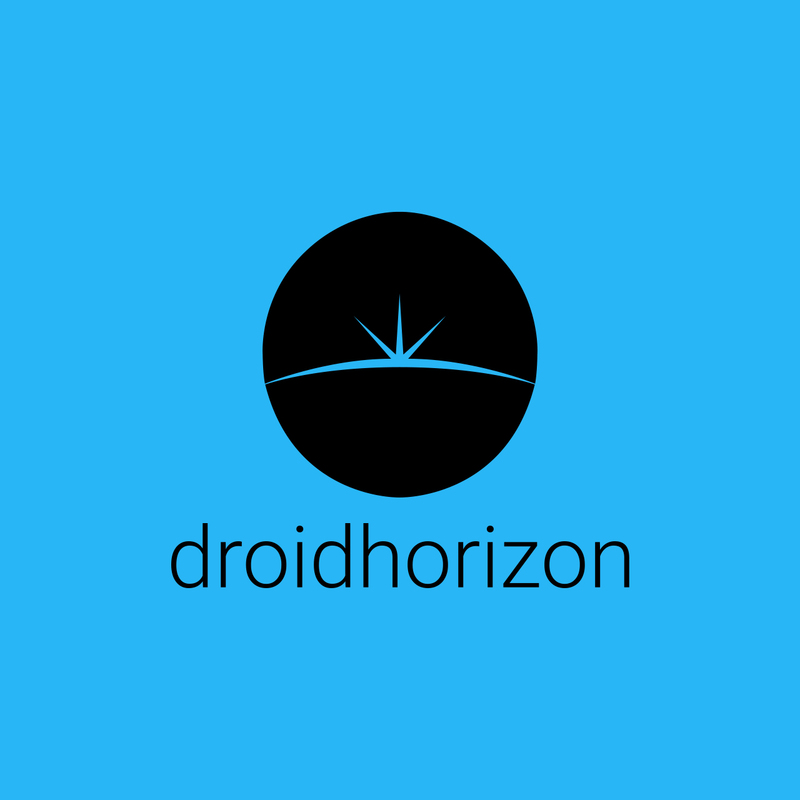 The whole design is built around the fact the hand can curve around it, for a more organic hold. Rather than the traditional on top mouse. 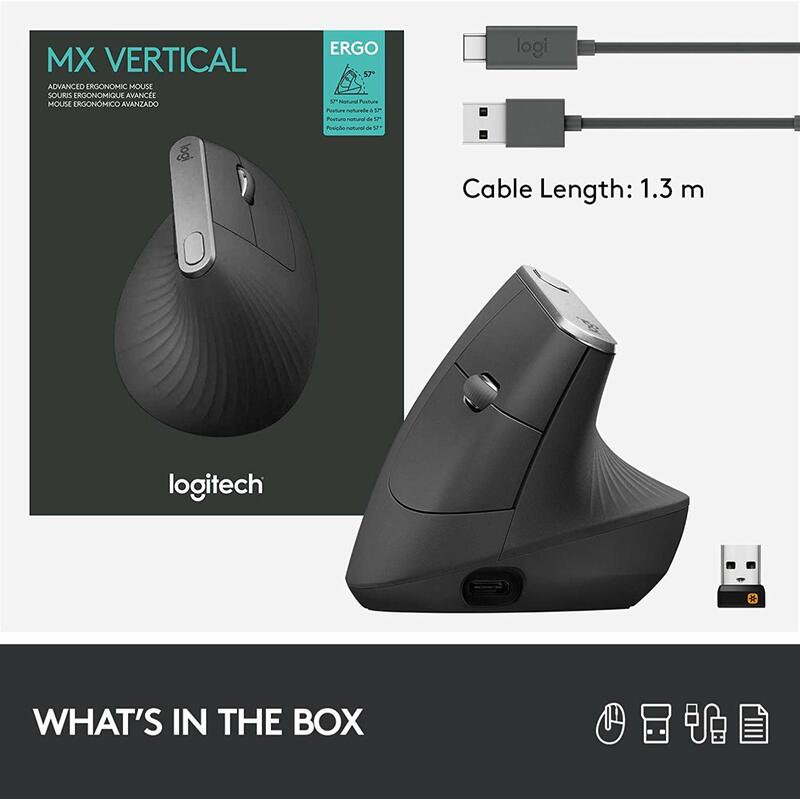 The MX Vertical can be connected via a USB cable, Bluetooth, or the Logitech unifying receiver. The included USB-C cable will still be needed, as this how you would charge the mouse. The MX Vertical can pair with up to three different devices, you can switch between these “profiles” with the switch on the underside. 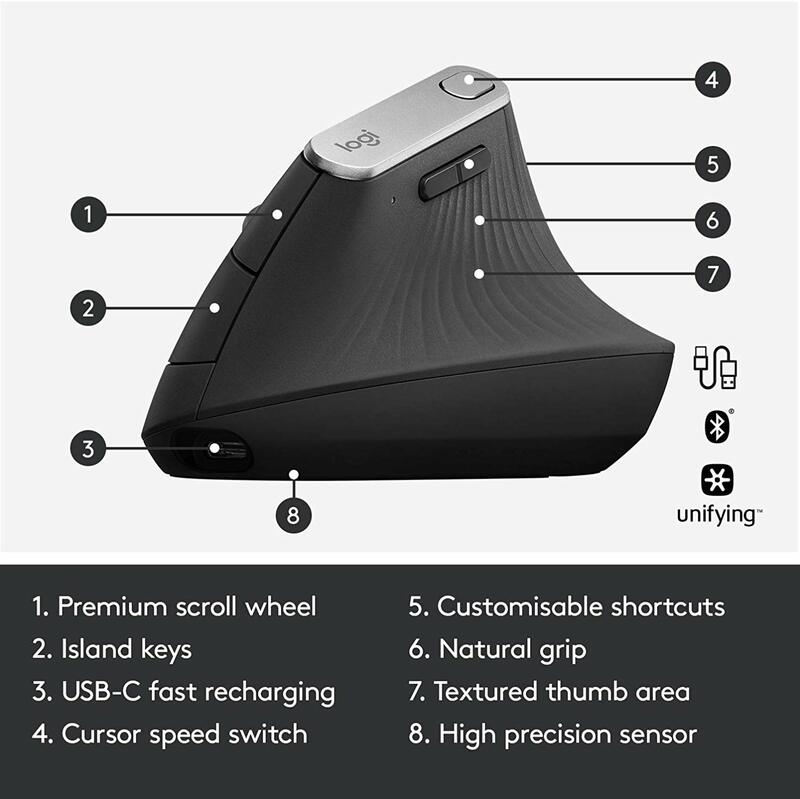 The handshake grip allows your first two fingers to rest on the main mouse buttons, with the scroll wheel in the middle. The thumb rests evenly on the back and forwards buttons. Unfortunately, this is just for us righties, no left-handed users allowed. 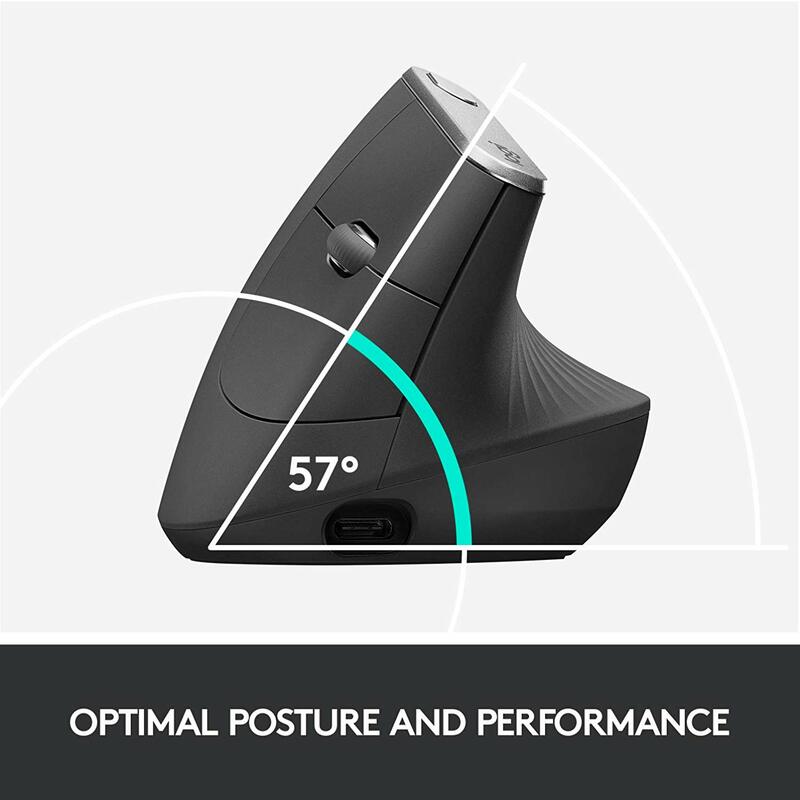 MX Vertical’s natural handshake position reduces muscular strain by 10 percent1 and promotes a more ergonomic posture. Though after a month I haven’t noticed much change, I will say that it is a damn comfortable mouse to use. I think I have heavy fingers, as I did find in the first couple of weeks, I was clicking randomly by mistake. It took a little while to get out of this behaviour. You can use the Logitech app to change the speed, the behaviour of buttons and check the battery on the MX Vertical. 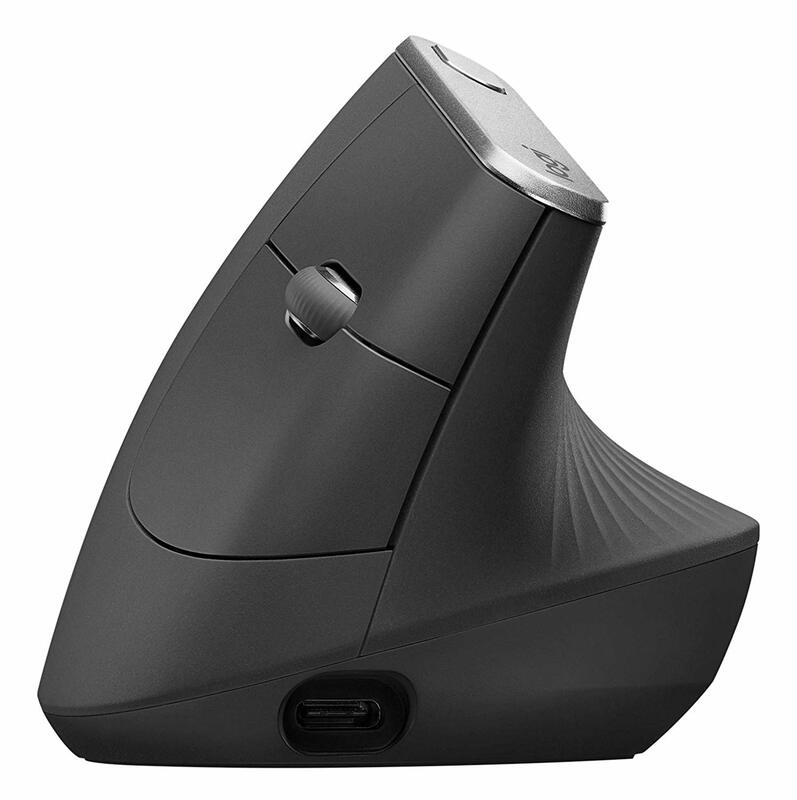 The grip feels satisfactory, my arm unquestionably feels better and overall I highly recommend this mouse.